The aims of this study were to evaluate the recovery of physical function and to investigate whether there are factors that adversely affect functional recovery after cosmetic bilateral lengthening of the tibia. 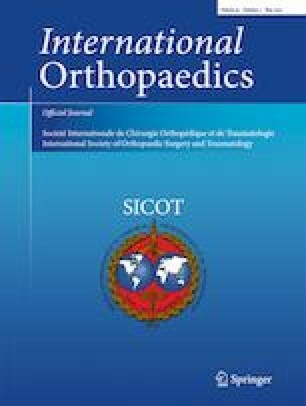 One hundred twenty-five healthy individuals who had undergone bilateral cosmetic tibia lengthening by the lengthening and then nail (LATN) method, lengthening over intramedullary nail (LON) method or intramedullary skeletal kinetic distractor (ISKD) were included in the study. Functional outcomes were evaluated using the Sports Activity Rating Scale (SARS), International Knee Documentation Committee (IKDC) Subjective Knee Form and patient self-reported ability scores. SARS and IKDC scores decreased at post-operative one year and improved significantly at post-operative two years. SARS and IKDC scores recovered similarly to pre-operative levels. Average patient self-reported ability scores at post-operative two years were 94.6 and 89.9 for daily living and light sports, respectively. However, the average score for moderate-to-strenuous sports was 68.1 and 39 patients (31.2%) recorded below average score for the moderate-to-strenuous sports. Patients who had undergone bilateral cosmetic tibial lengthening may expect almost full recovery of daily and light sports activities at post-operativetwo years. However, several patients may feel some limitation in moderate-to-strenuous sports activities. The online version of this article ( https://doi.org/10.1007/s00264-018-4159-5) contains supplementary material, which is available to authorized users. The study was approved by the institutional review board at our institution (4-2015-0722).